Adding Manual time will help you to feel the gap when you forgot or didn’t have a chance to track your working time. Everyone can request a Manual Time. You can’t request Manual Time if you already have tracked hours on that time period. When Manual Time is requested, the Owner or the Executive Manager needs to accept or decline the request. 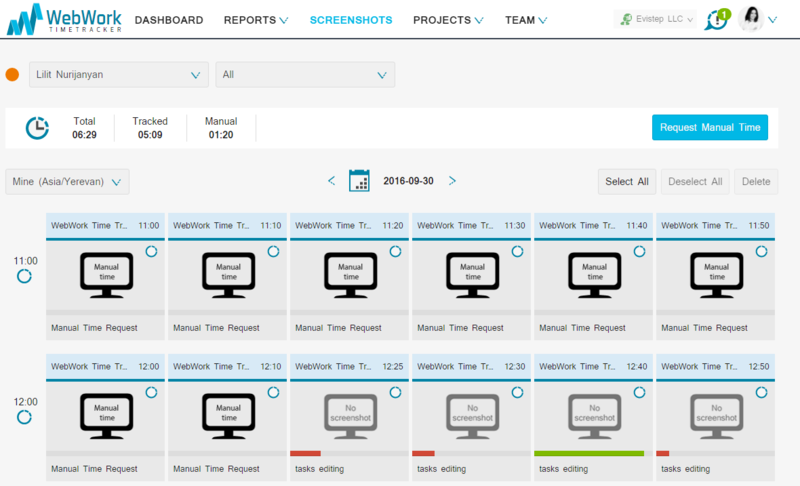 After your request has been accepted you will be able to see the Manual hours in your Screenshot Report page and all other report pages.